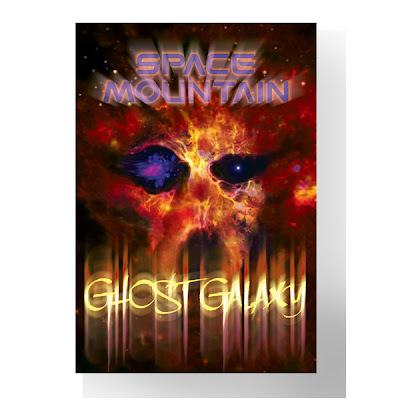 Here's the poster for Space Mountain's Halloween makeover as "Ghost Galaxy." It's going to be based on the one in Hong Kong Disneyland, but toned down a bit. Those Chinese like their Halloween closer to "Knotts Scary Farm" that "Mickey's Halloween Time." Do you mean 'Boo' as in the traditional Boo-to-scare, or 'boo' as in it's bad. Too bad there isn't a theme park for adult themes so that a Dead Space or System Shock inspired horror dark ride could exist. I'd say that Honor meant "Boo" in the traditional Halloween sense. Anyone who reads his blog regularly knows that he likes to be cute and campy in his writing. Besides, if he had meant otherwise he would have said so. I'm looking forward to this. It will be interesting to see what they do to change things up. And regardless if it is "toned down" or not, it will still be a trilling experience because it is Space Mountain! Hey Spok, I noticed your a-hole comment on another blog... still upset you were banned from MI eh? Haha, you deserve worse. Well, at least they are doing something with the Rock It Mountain installations and that's good! "Who made that poster? It looks like some child made it with "Microsoft Word"..."
The image is from Disney, but I'm pretty sure that the text is something that Honor created. ..Oh, wait a sec....Actually, he does identify that as the poster. So, I don't know. It could still go either way I guess. What exactly is Ghost Galaxy like in Hong Kong? What in it would need to be toned down? This does not compute. They are using what they have already, Hong Kong got everything new with the GG overlay?